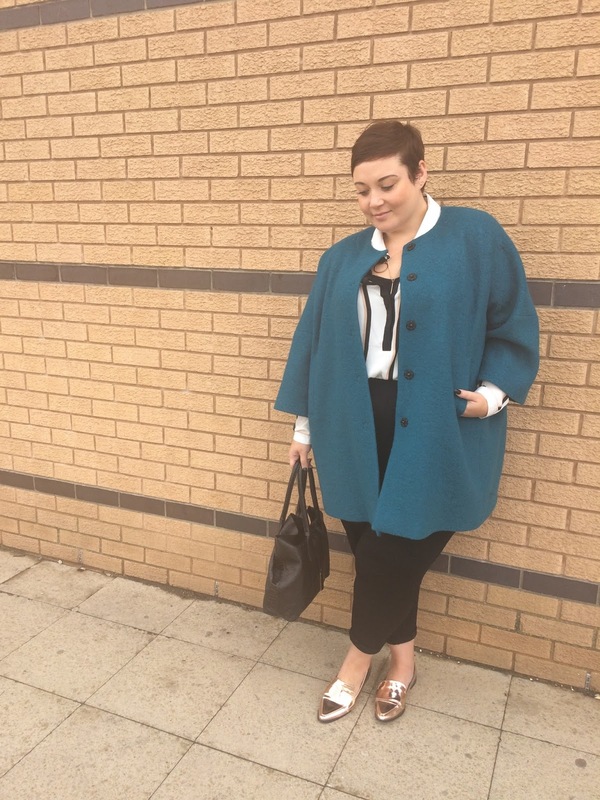 Style: Plus Size Coat Perfection with Navabi. 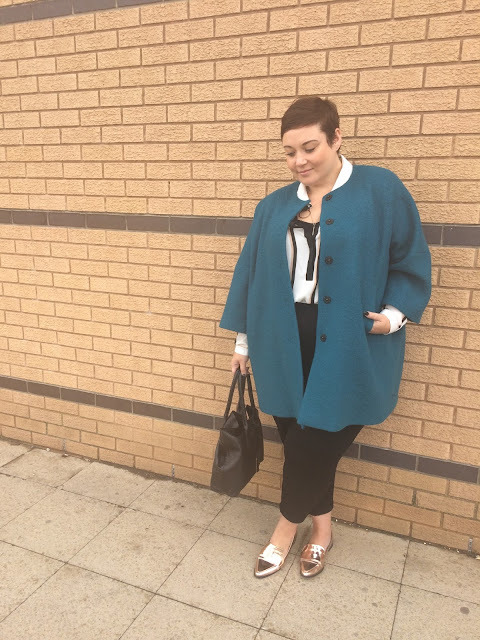 A few weeks ago I headed to London town to meet my favourite person Em, we had rather marvellously been invited to an evening with premium plus size fashion brand Navabi. 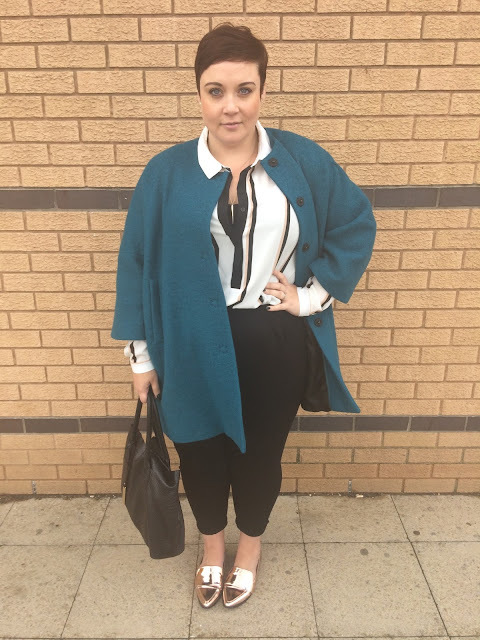 Along with stocking a huge variety of plus size brands, Navabi have spent the last year developing their own collection packed full of incredibly stylish but completely wearable wardrobe classics. I was very lucky to be able to chose a piece from the collection, and being the complete coataholic that I am I went for this beautiful teal number. 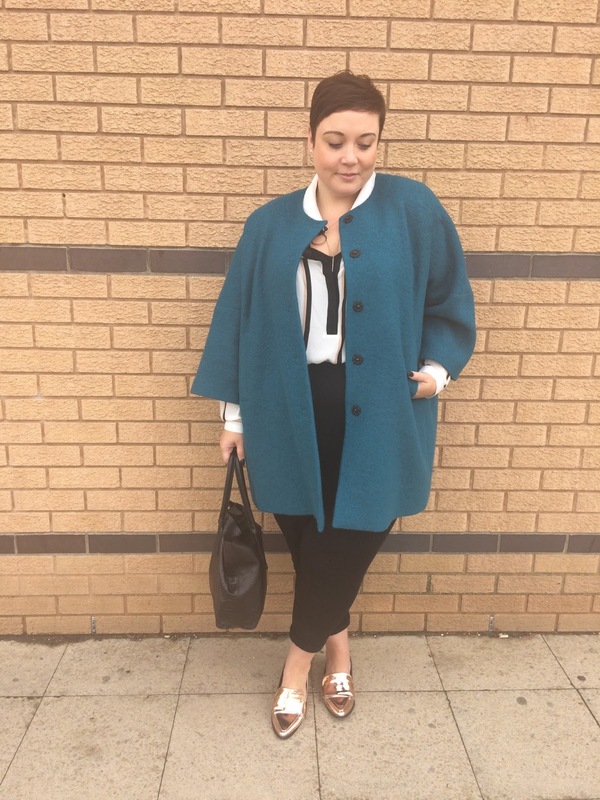 The wool-felt collarless coat is just a dream if I'm honest. It's incredibly lightweight for such a quality item. It keeps you warm without feeling heavy and cumbersome and it's completely true to size. I love the cropped sleeves, perfect for showing off your outfit and gives the coat a really chic feel. 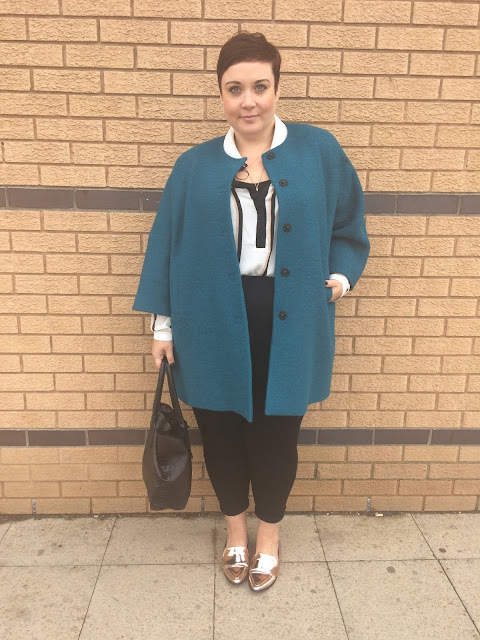 I wore this outfit to a Business event at which I was delivering a talk on blogging and I felt so great in it, there really is nothing better than a beautiful coat to finish off your outfit. The coat is priced at £187 which I know for some will be out of their budgets, but if you do have funds for it and are looking for an investment piece, this is the one, I promise. The teal colour will contrast amazingly with this season's rust and orange tones, but will also look so good against monochrome looks too. I am very much enjoying this outfit, like, incredibly so. Love that colour on you!